Crush strawberries to pulp and place in a large (1.5L) jug. Add white wine and apple juice and stir. Top with ginger beer, before serving. 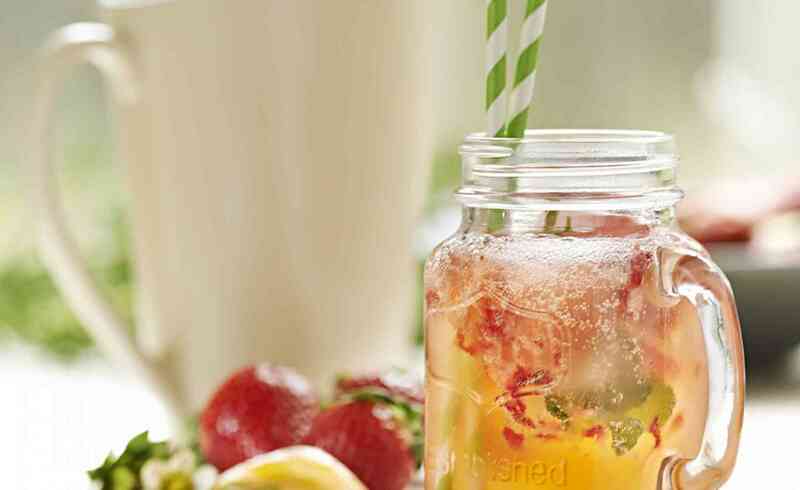 Pour into serving jars filled with strawberry ice blocks (below). Place assorted fruit slices, spices and flower petals in ice cube trays. Top with water and freeze. Serve with white sangria to add colour and spice.